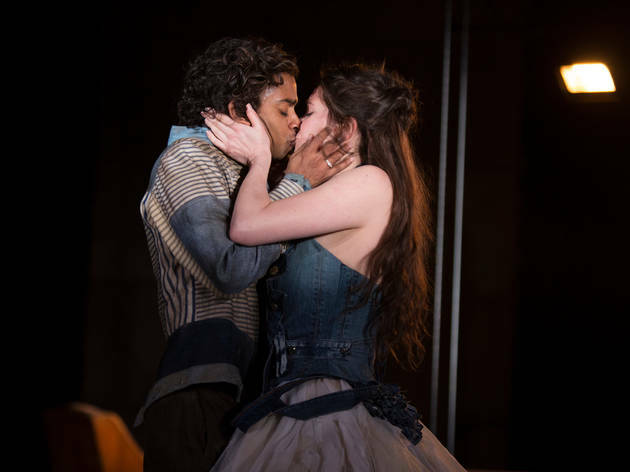 Shakespeare's 'Cymbeline' is a dense, meandering and at times faintly ridiculous play, but one that brims with charm. Melly Still’s grungy, dystopian RSC production opened in Stratford back in May, when the play’s Brexit parallels seemed an interesting but still distant notion. Now they hang over it like a spectre; if only the reality could resolve in 'such a peace' as follows Cymbeline’s busy final scene. 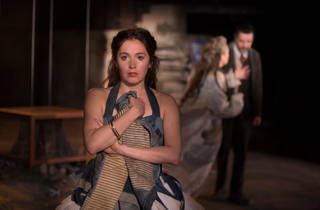 With a female Cymbeline (Gillian Bevan) and scheming Duke (James Clyde) instead of a Queen, Still plays with the notion of the titular character as grieving mother, channeling her anger at losing two children into her rejection of the Romans. 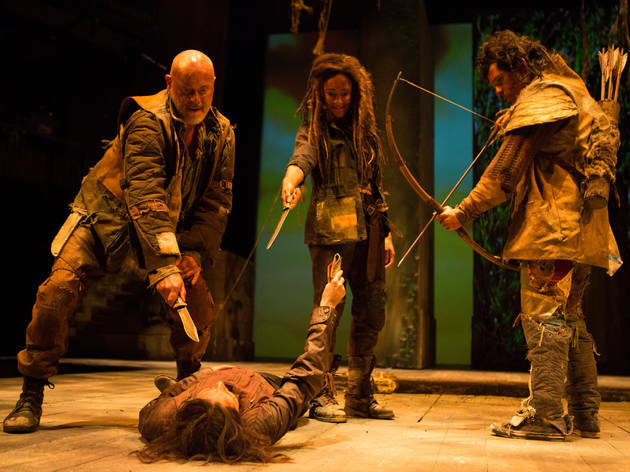 Sporting sloane-meets-soldier threads, Bevan convinces as an ancient, almost mystic figure; Cymbeline as Ugg-booted Boadicea proves a surprisingly successful interpretation. 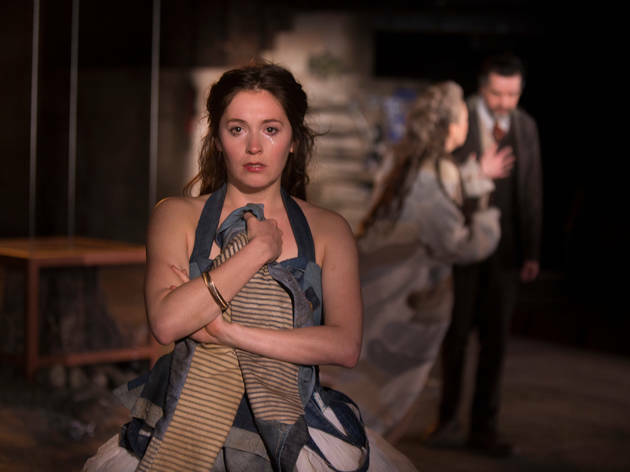 Bethan Cullinane’s Innogen is more problematic, often seeming more rabbit in headlights than woman in love. 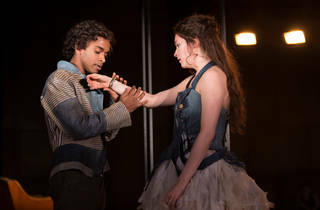 Her sappy romance with Posthumus (Hiran Abeysekera) has more than a whiff of youthful rebellion. 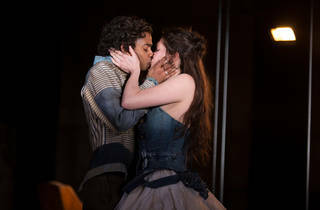 She’s at her best in the botched wooing scenes of Oliver Johnstone’s scheming Iachimo and Marcus Griffiths’ crooning Cloten, making them among the stand-out moments of the evening. And Cloten’s eventual decapitation at the hands of Innogen’s secret sister Guideria (Natalie Simpson) leads to some fantastically gruesome business as she makes him her “bloody pillow” having mistaken him for Posthumus. 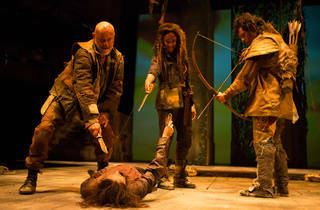 Although the pace lags at times, particularly after the interval, the storytelling is crystal clear. When the action moves to Italy the language shifts too, with surtitles projected on the two giant columns that dominate Anna Fleischle’s urban design. The verse delivery may be patchy, but the dynamic company find a good balance of comedy and pathos. And, as with Matthew Dunster’s recent retelling at the Globe, music is used to powerful effect. Dave Price’s worldly soundscape reflects a production that joyously celebrates the diversity of these divided isles.